Looking for some easy Captain America party snacks? These Red Skull Pops are perfect! 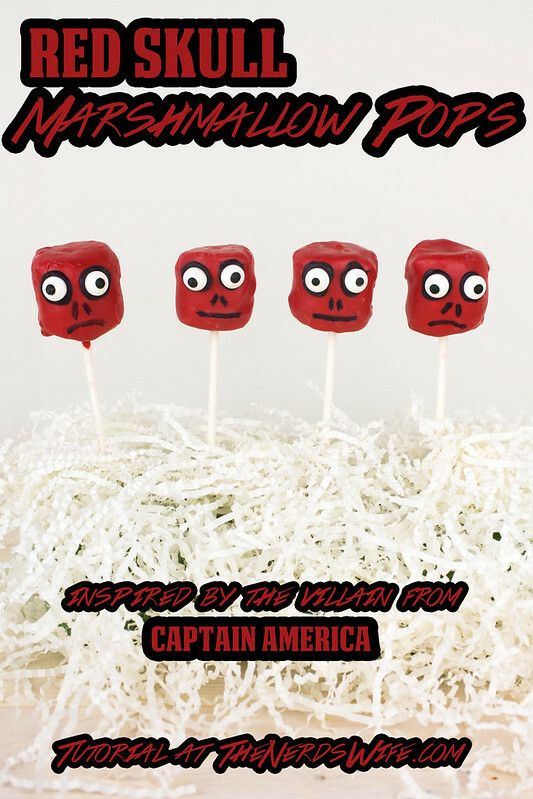 Any Captain America fan can tell you that Red Skull is the ultimate villain, and these marshmallow pops are an ode to Steve Rogers’ number one rival. 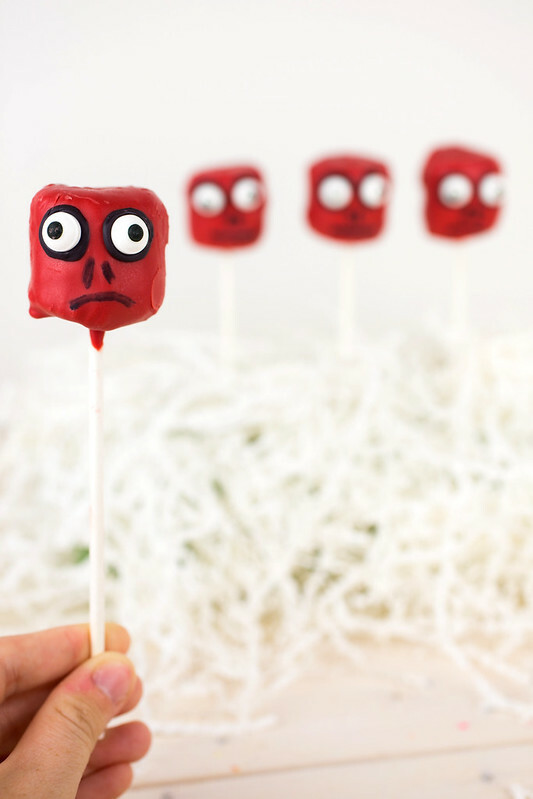 Party attendees will gobble up these Hydra bad guys! I am all about shortcuts, and marshmallow pops are a fun alternative to traditional cake pops. 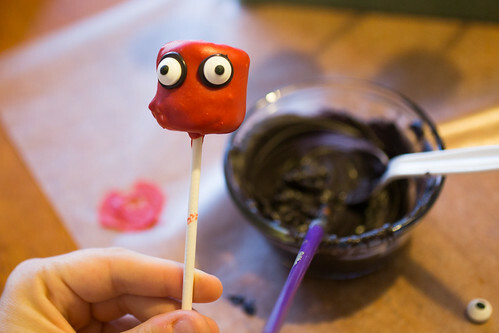 All you have to do is stick a marshmallow on a lollipop stick, and you’re ready to decorate. That’s my favorite part! 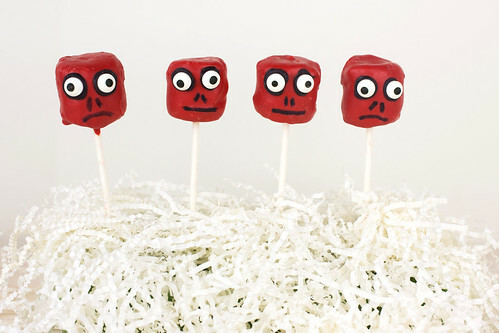 Ready to get started making our Red Skull Marshmallow Pops? 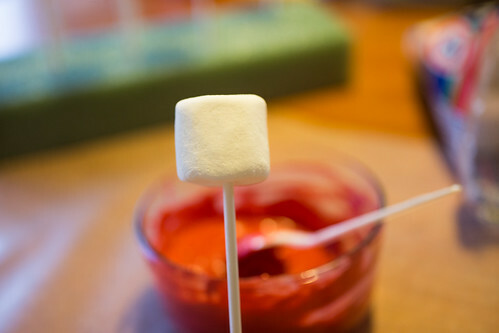 Place a marshmallow on top of a lollipop stick. Melt red candy melts according to package directions. 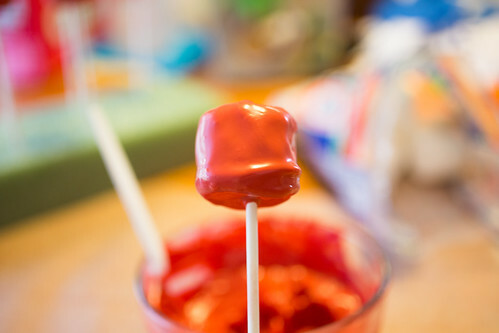 Dip the marshmallow in the candy melts, ensuring that it is fully coated. Place in the foam block and allow to harden. Melt black candy melts according to package directions. 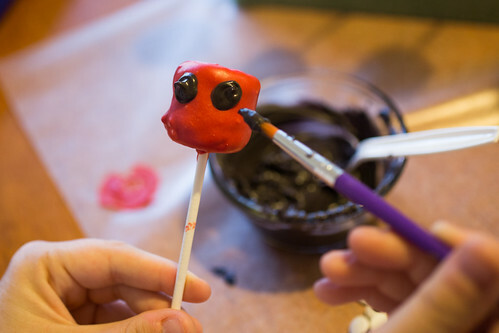 Using the small paint brush, paint two small patches on the front of the marshmallow pops where the eyes will go. Place a candy eye on each of the patches and allow to harden. 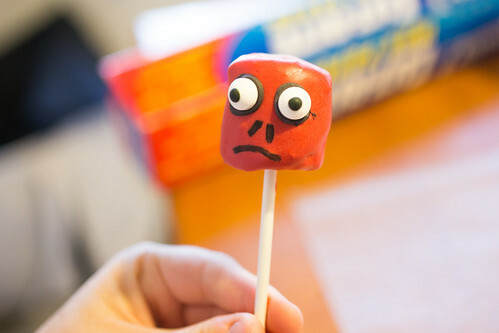 Using the candy marker, draw two slits for the nose and a mouth. Make sure to check out my other Captain America party ideas!